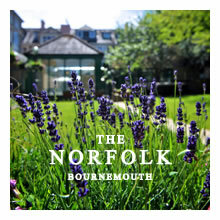 With flexible meeting and event spaces in the centre of Bournemouth, The Norfolk is an independent hotel who do things differently. From breakfast canapés to graze on while you chat or a BBQ breakout in the garden, we cater exactly to your requirements. Please call our dedicated Conference and Events Co-ordinator on +44(0) 1202 414114 for more information or to book. Conference packages can be tailored to suit your needs.